When the No. 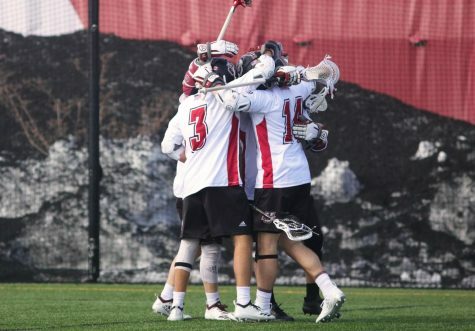 20 Massachusetts men’s lacrosse team took the field under the lights for Senior Night last Friday, many were expecting the departing seniors to lead the way. 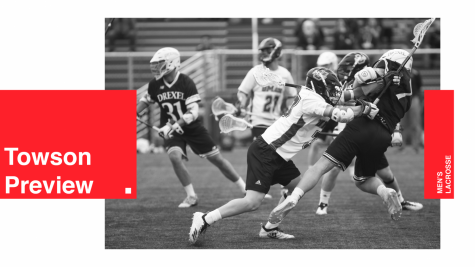 Instead, freshman Connor Mooney stepped up and led the Minutemen (9-4, 4-2 Colonial Athletic Association) to an 11-5 romp over Delaware with five goals. “It was the best feeling in the world,” he said. “I’m just glad to help out.”. 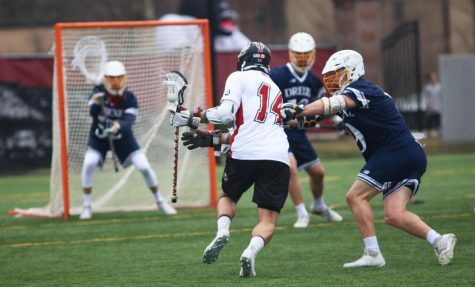 Mooney started off his scoring tear in the second quarter as he notched the first goal of that period off a feed from Mike Fetterly. His first goal of the contest handed UMass a 2-1 advantage which it continued to build on. 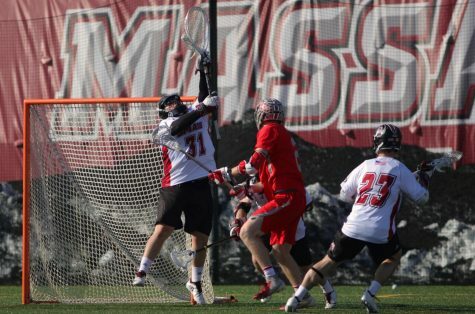 The third quarter showcased Mooney’s strength, as he notched three of the Minutemen’s six third quarter goals. Fetterly once again helped Mooney out with an assist, as did sophomore Will Manny, who tossed out a pair of dimes in the quarter. Mooney finished his scoring with an unassisted effort with 9:57 remaining in the fourth. “Connor Mooney played great; they weren’t expecting a lot of us and he played like a senior tonight,” said midfielder Anthony Toresco. Following the contest, Mooney gave much praise to Manny and Fetterly for their generosity during the second and third quarters. “I had the easy part, they were just feeding me the ball,” said Mooney. Friday night’s performance displayed a Mooney that had been seen earlier in the season before he fell into an offensive struggle. 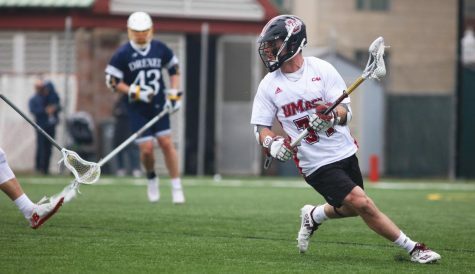 “He had been struggling, but he hadn’t been on the board, and when you’re a guy who’s used to scoring in all the games in high school and being a part of it, sometimes that hurts confidence,” said UMass coach Greg Cannella. Mooney scored his first goals of his college career on Feb. 26 against then-No. 13 Ohio State, when he notched a pair of scores in the final five minutes of the contest. That offensive performance earned him CAA Rookie of the Week honors. Things didn’t slow down from there, as Mooney continued to be a threat on offense with a hat trick against then-No. 20 Brown. 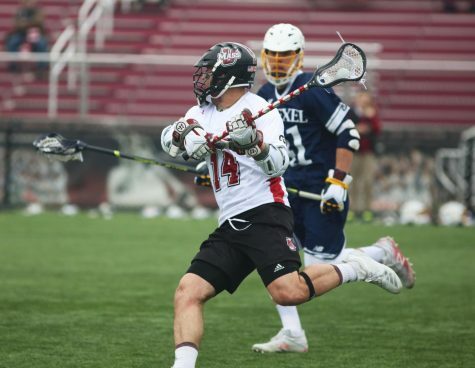 He also scored a pair against Albany and added an assist at Providence. 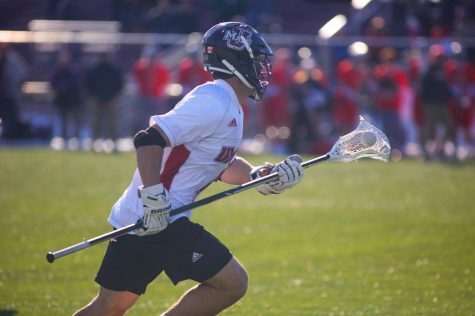 After a goal against St. Joseph’s, Mooney went three games without earning a point. However, Mooney continued to push himself forward to try and get back on the board. Cannella also explained that Mooney came onto the team with what he saw as college-level skills and that the team really enjoys having him. 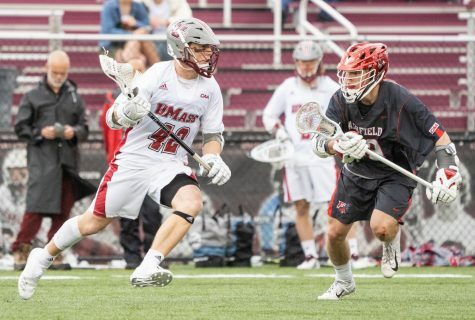 After Friday night‘s victory, Mooney admitted he’ll be looking to continue his hot streak as the team moves forward into the CAA Tournament, which begins Wednesday when the Minutemen face No. 18 Penn State. 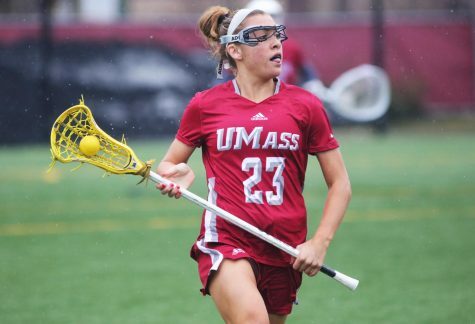 Other than their 9-8 loss to Albany, the Minutemen have won all games in which Mooney has scored multiple goals.